Lifebox is ecstatic to announce that we’ve been awarded funding from Johnson & Johnson through the Tropical Health and Education Trust (THET). The funding means that we’re able to launch an ambitious project in Tanzania – making surgery and anaesthesia safer across the north of the country. Lifebox will be partnering with Kilimanjaro Christian Medical Centre (KCMC), a large referral hospital that lies in the foothills of the snow-capped Mount Kilimanjaro in northern Tanzania. We have worked with KCMC since 2012 and this joint project will address the lack of equipment and training that is essential in providing safe anaesthesia. Across the country, Tanzania has just 13 specialist anaesthetists, the majority of which are located in the largest city of Dar es Salaam. Anaesthesia provision often falls to nurses (or partially trained Anaesthetic Officers) who are forced to rely on knowledge gained from their initial, and often out-of-date, vocational training. The project will work to support nurse anaesthetists in Tanzania by revising the Anaesthesia Diploma at KCMC – one of the largest anaesthesia courses in the country. Each year 70 nurses from hospitals across the country are selected to attend the year-long diploma. The project will revise and update the diploma’s curriculum to embed pulse oximetry and the Surgical Safety Checklist into the course materials. This best practice training will be further supported with mentoring from a six-month visiting Fellow. Alongside improved training, the project will also address the lack of essential monitoring equipment. From needs assessments received by Lifebox from across Tanzania, 79% of operating rooms lack a functioning pulse oximeter. This project will equip all 70 student nurses with a Lifebox Pulse Oximeter at graduation to take to their home hospital. A further 37 oximeters will be distributed to meet the oximetry need at KCMC and six other neighbouring hospitals in the region. By the end of the project in April 2017, 107 operating rooms will be equipped to monitor their patients with a pulse oximeter during surgery. 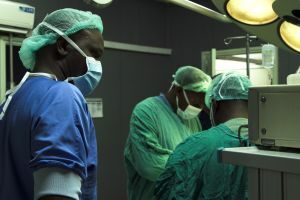 This means that more than 139,000 patients a year will benefit from safer surgery because of this project – creating a lasting and lifesaving difference. This is the first year that NGOs have been able to apply to THET for funding. 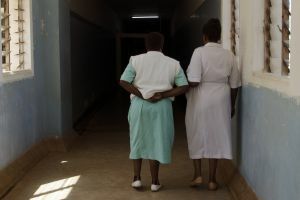 Seven projects were awarded funding as part of the Africa Grants Programme supported by Johnson & Johnson which supports the training of health workers in Africa through partnerships. We’re looking forward to keeping you posted with the latest news from the project as we work towards safer surgery in Tanzania.